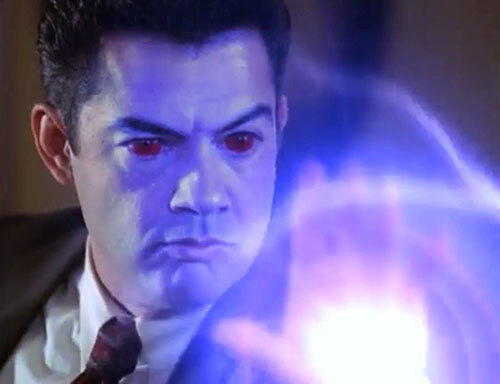 Inspector Rodriquez was a demon on the Charmed TV show. Those not familiar with Charmed should first read a profile for one of the heroines. Say, Piper Halliwell’s character profile. Base Of Operations: San Francisco, CA. Height: 5’7” Weight: 180 lbs. The Demon taking on the role of Inspector Rodriguez is a decent detective and interrogator. He’s thus adept at following leads and extracting information. His specific demonic abilities allow Rodriguez to hear at a distance better than most listening devices. Being a demon Rodriguez is also very resilient when it comes to physical attacks. Rodriguez has two main attack forms. A sonic scream which kills any who hear it. His more powerful attack, energy balls flung from his hands. 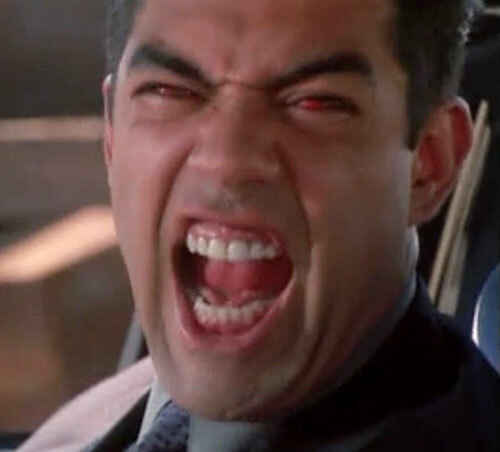 In 1999, the Source sent a demon named Rodriguez. He was to investigate the loss of many demons in the San Francisco area. Andy Trudeau was an inspector linked to many “freaky” cases. Rodriguez, taking the guise of an internal affairs agent began by seizing several of his files. But Darryl Morris, Andy’s partner took notice. 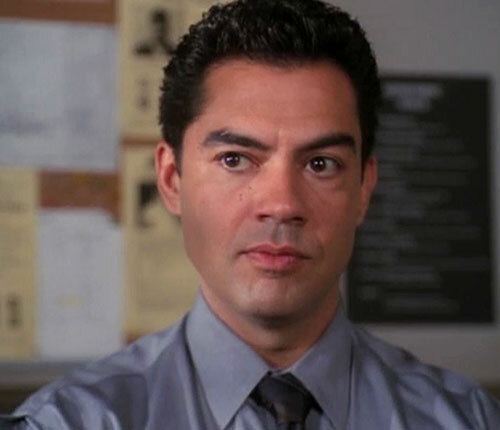 When Andy began his investigation on the newest “freaky” murder case, Rodriguez guessed he would return for some of the evidence. He was right. Rodriguez and his partner grilled Darryl for two hours before confronting Andy himself. After failing to coerce Andy into incriminating himself, Andy challenged Rodriguez on what they had against him. Indeed, Rodriguez had nothing conclusive. And thus he had no recourse but to let him go. Rodriguez and his partner did a great job of tailing Trudeau and gathering more ammunition for their next interrogation. They called him in and began firing hard questions. Andy had no real answers and so lied unsuccessfully. Rodriguez pulled out all the stops and began threatening Andy, calling him a liar to his face. With no way out, Andy turned over his badge and gun. But he would not reveal the truth about Prue and her sisters. Again they followed Trudeau. Rodriguez, using his extended hearing ability, overheard whom Andy had been covering for. Prue Halliwell was a witch. With that Rodriguez no longer needed to interrogate Trudeau. Thus, he slew his partner. The Source became impatient with Rodriguez. So he sent the demonic sorcerer Tempus to aid him. Tempus cast a spell at the end of each day reversing time back to Wednesday morning. Tempus successfully trapped them all in this time loop. 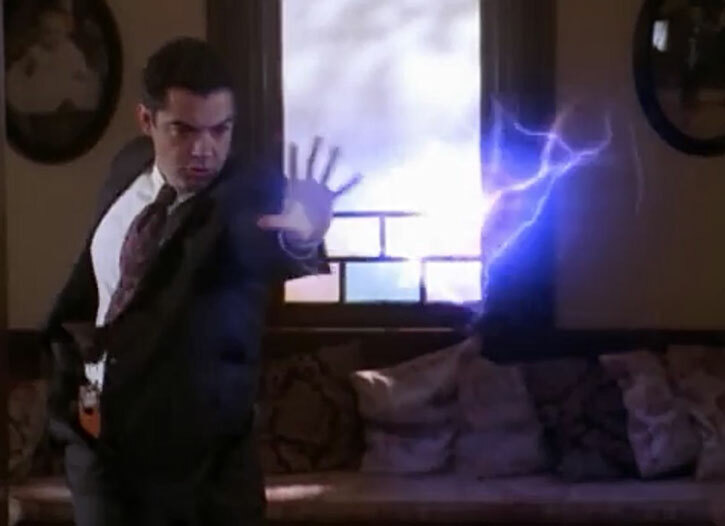 Each time Rodriguez attacked the Charmed Ones and died he would learn. No matter how long it took, repeating this day again and again, he would eventually kill all three sisters. On the first attempt Rodriguez only managed to kill Phoebe. Piper froze him then Prue rebounded his energy blast back on him, killing him. 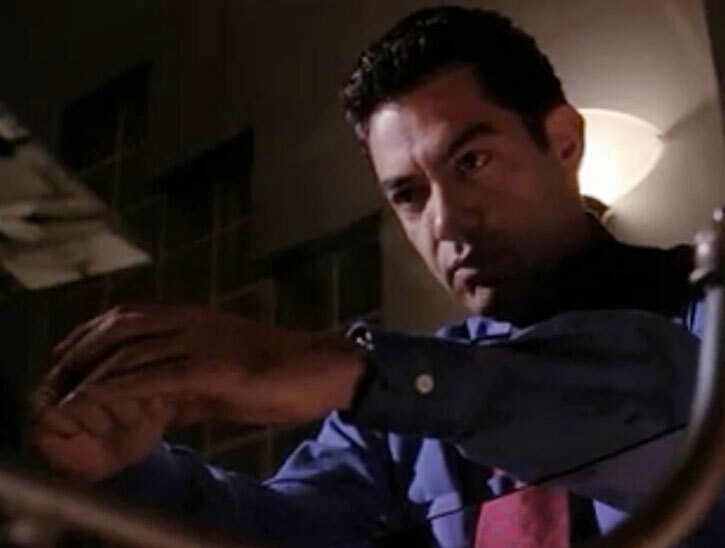 The second attempt Rodriguez managed to kill both Phoebe and Piper. However, Phoebe was figuring out the time loop due to her precognitive powers. Therefore, the sisters were able to prepare for Rodriguez each time and adapt to his attack. Rodriguez was finally vanquished by Prue Halliwell, who accelerated time past midnight. In a moment of compassion Prue released Rodriguez. However, he couldn’t stand to let them live, he turned and threw his energy ball toward Prue. She deflected his own energy ball attack back at him, killing him. Rodriguez was defeated, but at the cost of Andy Trudeau’s life. A Hispanic man with dark curly hair. Inspector Rodriguez wears professional looking dark blue suits with blue or red ties and white or blue undershirts. In his guise as internal affairs Rodriguez wears a badge on his belt as well as his side-arm. Rodriguez is good at what he does. He is focused and demands respect when working. When things don’t go his way he will become enraged. Rodriguez: “He’s covering up for Prue Halliwell.” (Using Extended Hearing to eavesdrop on Trudeau’s conversation with Morris). Inspector Rodriguez can be a tough opponent for street level heroes. A 411 points Character (without equipment). All of Rodriguez’s powers are Mystic linked. Energy Blast has no AV and uses Rodriguez’s Dex instead (-1). Invulnerability cannot negate damage from magic or magic based attacks (-1). Mind Blast may only be used on opponents that can hear his scream (-1). SFPD Internal Affairs (High), The Source (Low). .40 Glock 22 [BODY 03, Projectile Weapons 04, Ammo: 15, R#03, Cost: 9]. CREAM-COLORED CROWN VICTORIA [BODY 06 STR 04, Running: 06, R#2, Cost: 48]. Handcuffs [BODY 05, Cost: 06]. 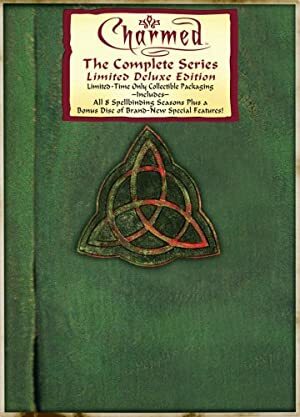 Source of Character: The 1999 Charmed TV series; episodes The Power of Two, Love Hurts, and Déjà Vu All Over Again, character played by Carlos Gomez. 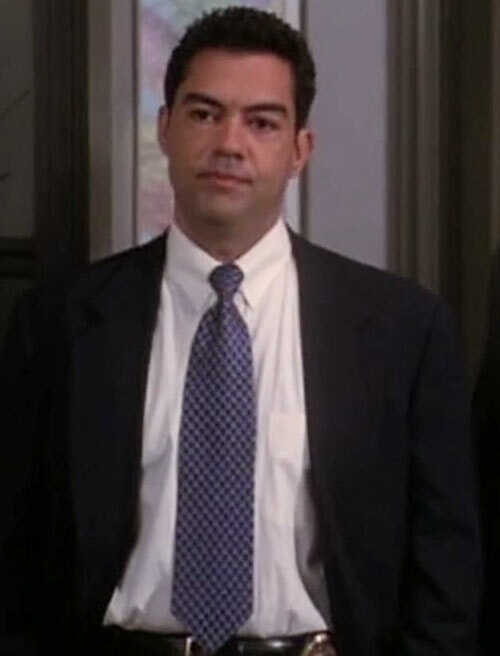 Helper(s): Chris Cottingham, The Charmed Wiki, Wikipedia. Writeup completed on the 21th of May, 2014.